Amiga owners across the globe, it's that time again when we look towards The Chiperia Project for even more brilliant tunes. 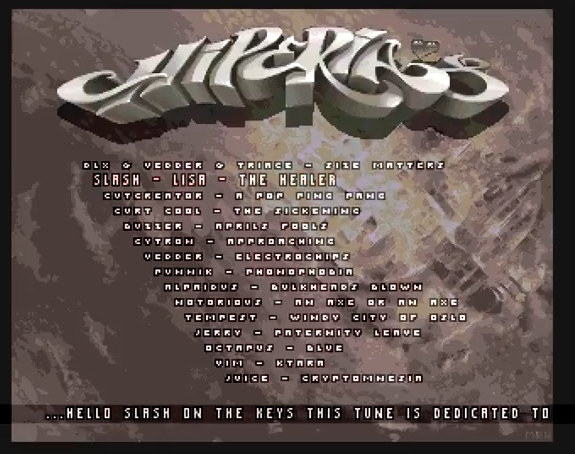 And sure enough here we are with the Chiperia Issue #8, the very latest November album filled with brilliant remixes such as dLX & Vedder & Triace - Size matters, Slash - Lisa - The healer, Cutcreator - A pop ping pang, Curt Cool - The sickening and many more to make this a worthy download for both Amiga hardware and emulator alike. If you haven't listened to these you are seriously missing out!